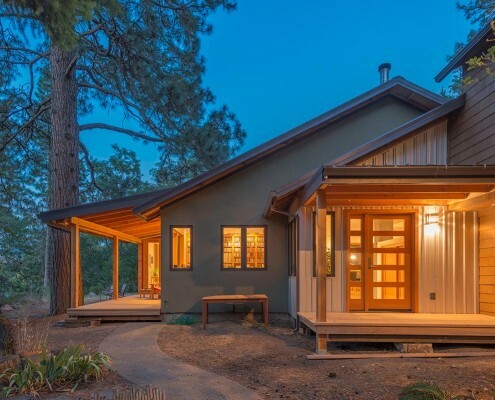 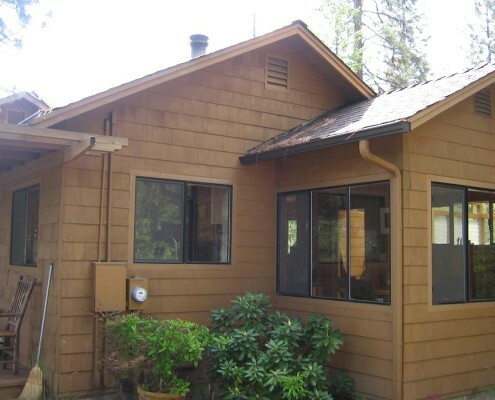 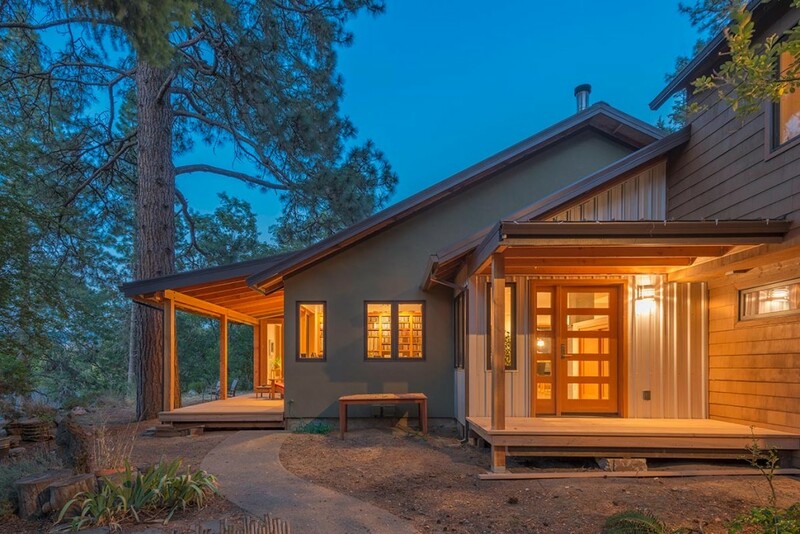 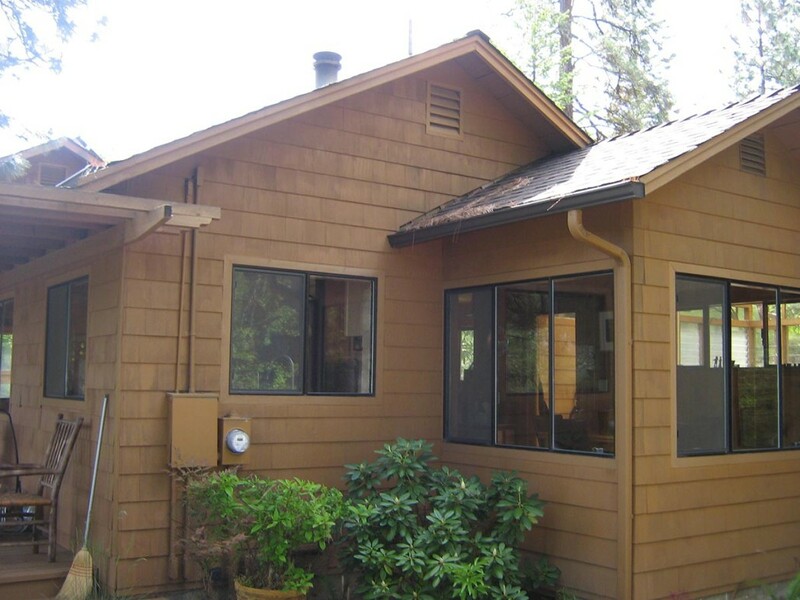 Dubbed “the Ranger Station” by the client, this small residence had a history of additions that resulted in an eclectic juxtaposition of a 60’s modern living space, a woodsy log cabin and a ramshackle covered outdoor work room. 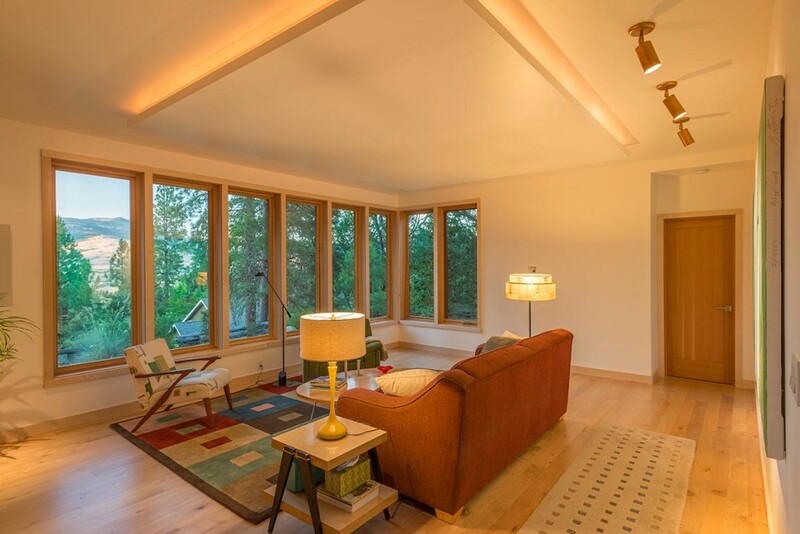 We designed a floor plan within the existing roof forms and enhanced the openness by relocating the expanded kitchen with high windows to the south. 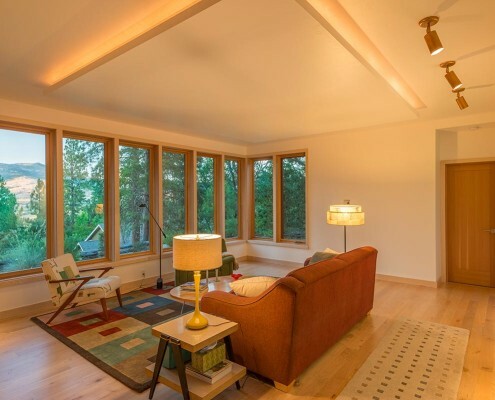 The design accentuates a diagonal access and view through the house by interrelating the kitchen, masonry stove, office nooks, and dining room to a “transition” space that serves as a hall yet does not feel like a hall. 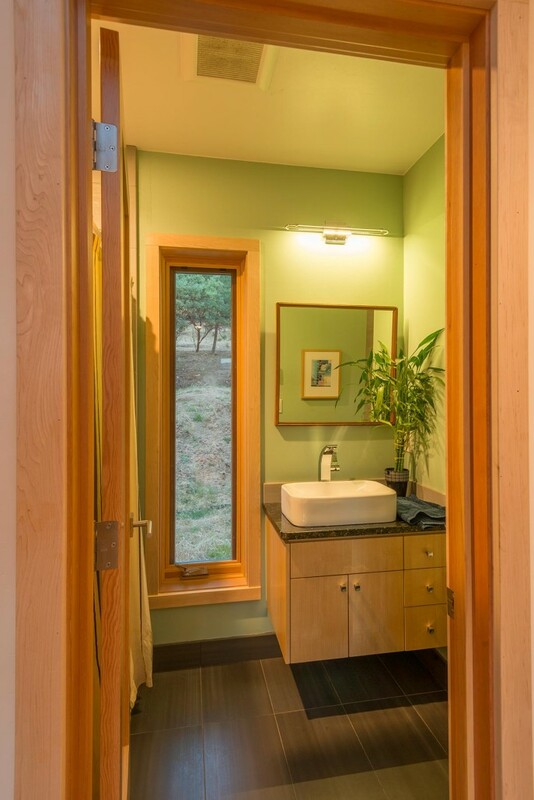 By spending a few years attending “green home” tours and studying the homes we’ve designed, the clients brought us clear direction for our work. 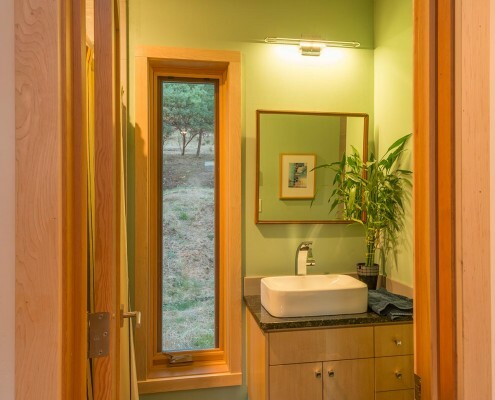 The ongoing story of the craftsmanship of the home has been enriched by adhering to the principles of energy efficient measures, utilizing recycled and repurposed materials and being sensitive to the home’s history.